With the release of Spider-Man: Into the Spider-Verse, renowned filmmaker Kevin Smith sat down with Wired to talk about all that is Spider-Man. Smith, a fan since childhood, shares his memories of Spiderman, explains some of the lesser known versions and offers his honest opinion about every portrayal of the character, in both film and television. 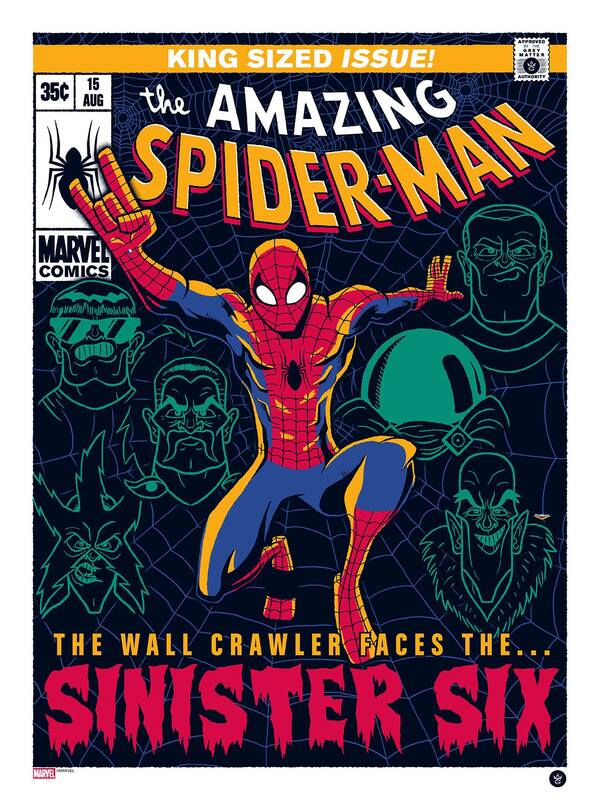 Grey Matter Art, under license from Marvel, is proud to announce a new officially licensed, limited edition screen print for the iconic superhero, Spider-Man and his villains the Sinister Six, by artist, Ian Glaubinger. The poster goes on sale tomorrow, October 30th at 1PM est. on the GMA homepage. 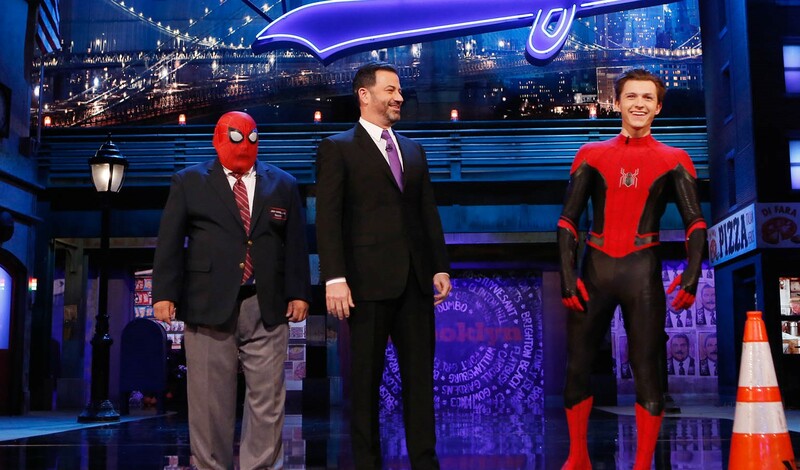 Tom Holland went on Jimmy Kimmel Live! 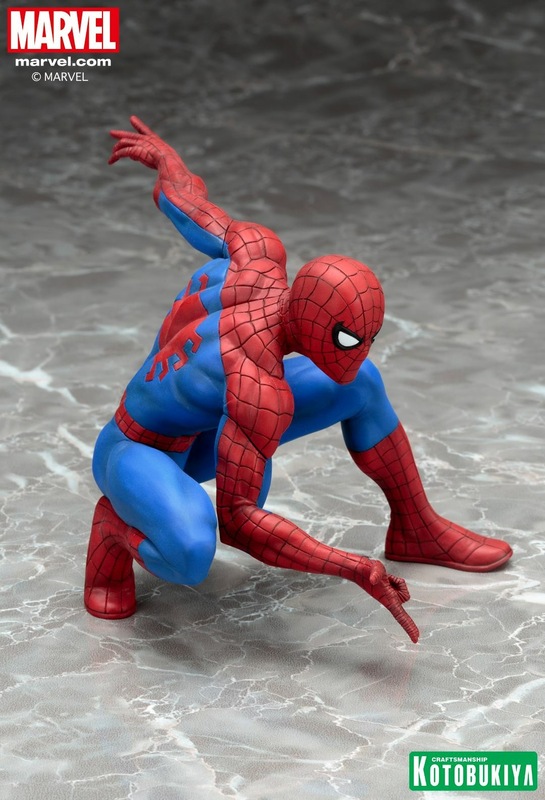 to officially debut his latest Spider-Man costume which is largely faithful to Spidey’s comic book costume, even though it favors red and black over the traditional Spider-Man red and blue. Holland made his appearance semi in-character during a sketch with Kimmel’s sidekick, Guillermo Rodriguez. Somehow, Guillermo managed to snag Spidey’s mask, and Peter Parker was forced to use another way to hide his identity. Shortly thereafter, Holland unmasked and plugged his Spider-Man sequel. But when Kimmel pressed Holland on whether the movie took place after Infinity War, the web-slinging actor proved to be evasive with his answers. Holland isn’t the only veteran MCU actor returning from Spider-Man: Homecoming. 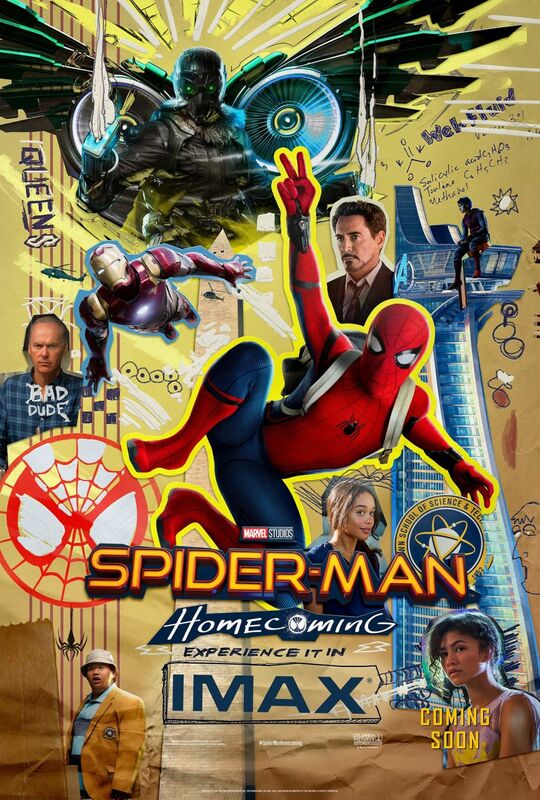 Michael Keaton, Jon Favreau, Zendaya, Marisa Tomei, Jacob Batalon, Tony Revolori, and Angourie Rice will all reprise their roles in the sequel. Additionally, Samuel L. Jackson and Cobie Smulders are returning as ex-S.H.I.E.L.D. agents Nick Fury and Maria Hill. Jake Gyllenhaal is playing Far From Home‘s main villain, who is widely believed to be Mysterio. Spider-Man: Far From Home will be released on Friday, July 5. 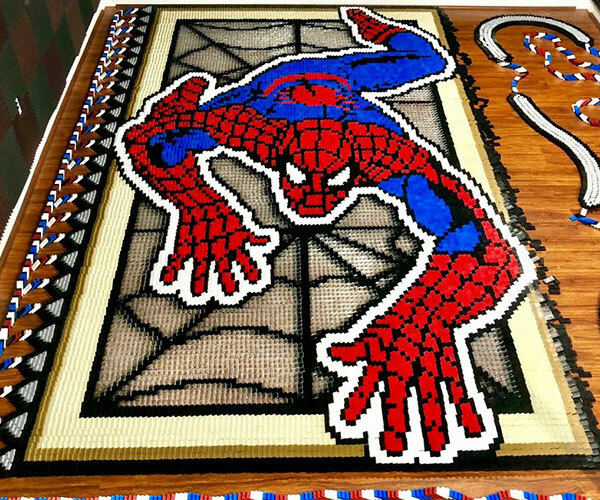 The Domino King has been enjoying the PS4 Spider-Man game, so he thought he’d make a tribute to the friendly neighborhood superhero. It took him about a week and 36,186 dominoes to complete the maze. Highly anticipated new experiences at Disneyland Resort, Disneyland Paris and Hong Kong Disneyland will soon invite guests to become part of a bigger universe filled with epic heroes and adventures, and today we’re sharing a sneak peek! Developed in partnership with Marvel Studios and Marvel Themed Entertainment, these three new areas will champion the next generation of Super Heroes. 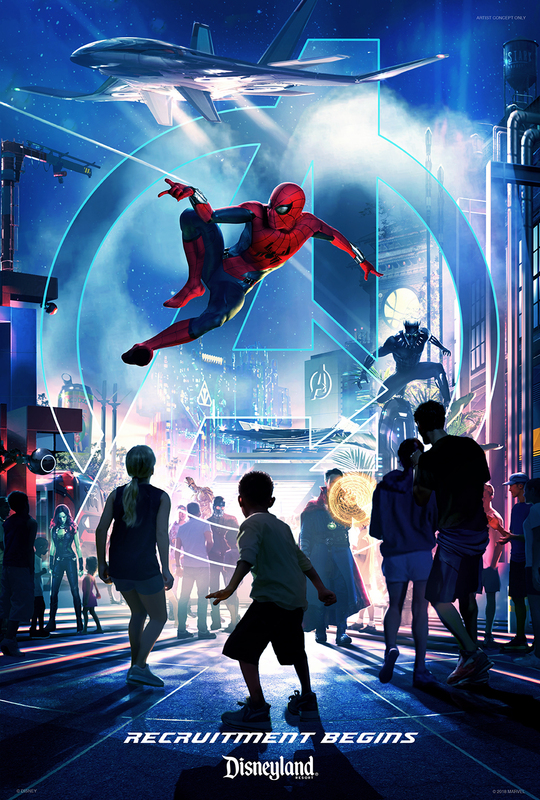 As part of the transformative multi-year expansion announced for Disneyland Paris, the new Marvel-themed area at Walt Disney Studios Park will include a reimagined attraction where riders will team up with Iron Man and their favorite Avengers on a hyper-kinetic adventure in 2020. 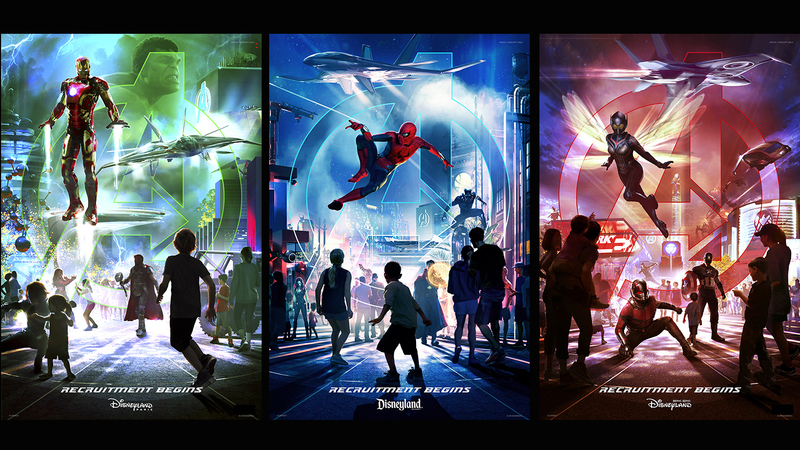 This will follow an epic experience launching this summer, when Disneyland Paris hosts Marvel Summer of Super Heroes from June 10 to September 30. Favorite heroes will take the stage for a brand new, live-action super-production featuring cutting-edge special effects and spectacular projections. 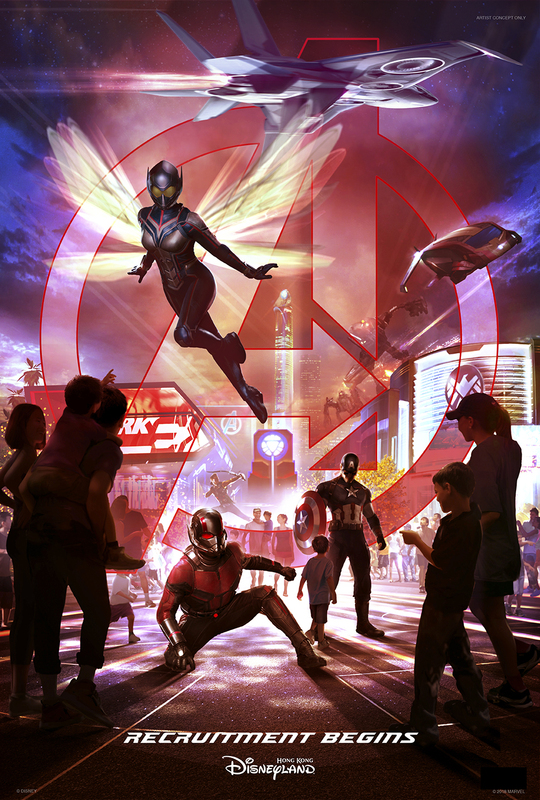 Multi-year expansion plans are also underway at Hong Kong Disneyland, including a new themed area that will include an exciting attraction where guests team up with Ant-Man and The Wasp. 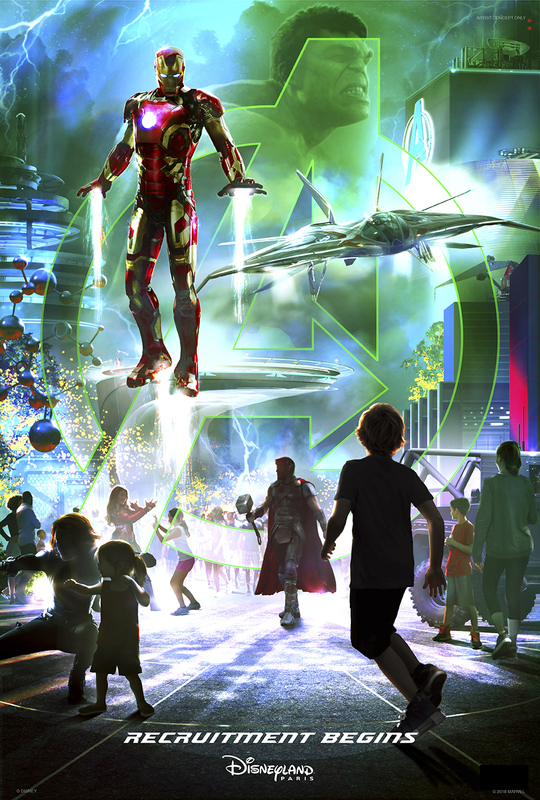 This new attraction will join the Iron Man Experience, which opened in 2017 and is already the most popular attraction at the resort. Join your favorite heroes soon for these and more epic adventures at Disney Parks around the world! Did Spider-Man Have A Cameo In Iron Man 2? A very cool fan theory has been confirmed by Spider-Man: Homecoming star Tom Holland. 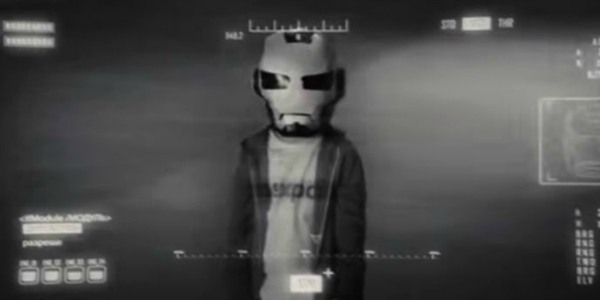 The theory is that the little Iron Man fan who holds up his hand to fight one of the Hammer drones in the 2010 film was none other than Peter Parker. Holland confirmed the Iron Man 2 Spider-Man, or at least Peter Parker, appearance. A young Peter Parker / Spider-Man (Tom Holland), who made his sensational debut in Captain America: Civil War, begins to navigate his newfound identity as the web-slinging super hero in Spider-Man: Homecoming. Thrilled by his experience with the Avengers, Peter returns home, where he lives with his Aunt May (Marisa Tomei), under the watchful eye of his new mentor Tony Stark (Robert Downey, Jr.). Peter tries to fall back into his normal daily routine – distracted by thoughts of proving himself to be more than just your friendly neighborhood Spider-Man – but when the Vulture (Michael Keaton) emerges as a new villain, everything that Peter holds most important will be threatened. Spider-Man: Homecoming swings into theaters on July 7. You can watch a first clip from the new animated Spider-Man! Look for Marvel’s Spider-Man to debut on Disney XD this summer. 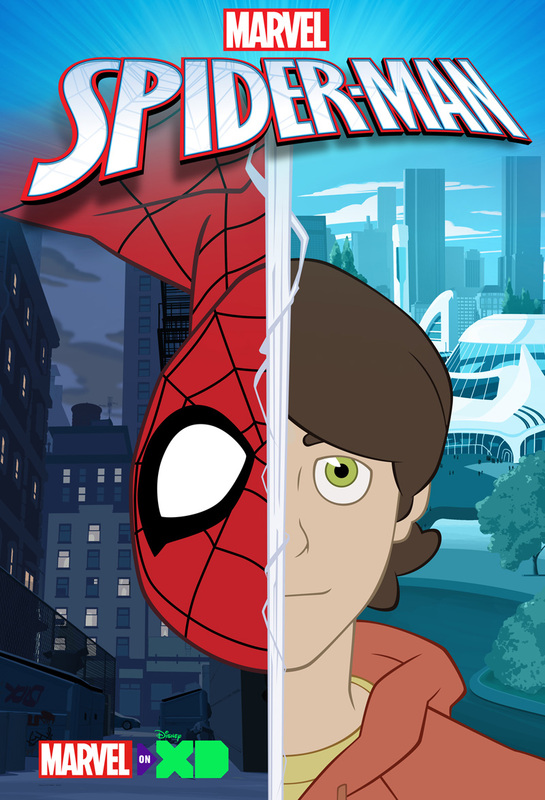 Produced by Marvel Television, the series tells the story of an unsure but courageous teen who has to figure out how to be a super hero from the very beginning. Spider-Man and his various nemeses are coming soon as Mystery Minis from Funko! 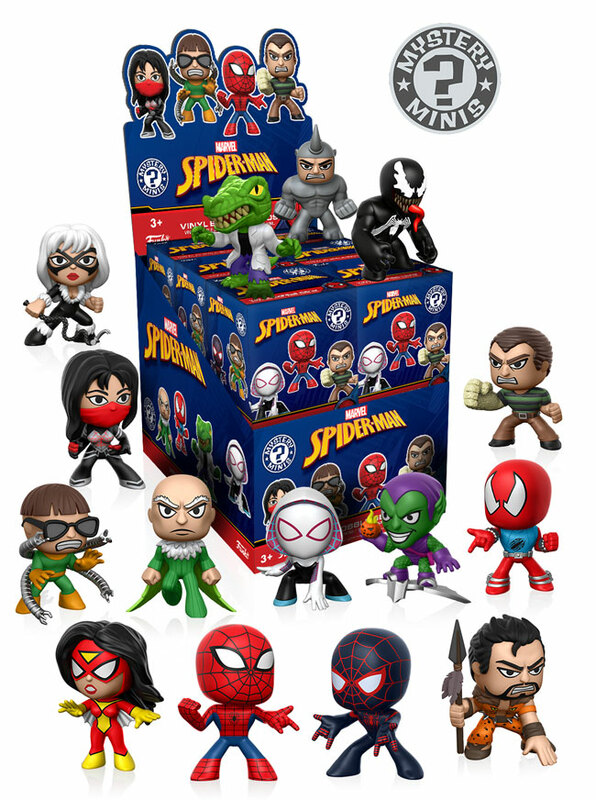 Open the blind boxes to find a variety of Spidey characters, including Spider-Man, Spider-Gwen, and Scarlet Spider! You can also find iconic villains such as Doctor Octopus, Green Goblin, and Vulture! Collect them all this spring! A Kotobukiya Japanese import! Kotobukiya’s Marvel Comics ARTFX+ Statues have brought you Earth’s Mightiest Heroes in the Avengers as well as the heroic mutants of the X-Men. 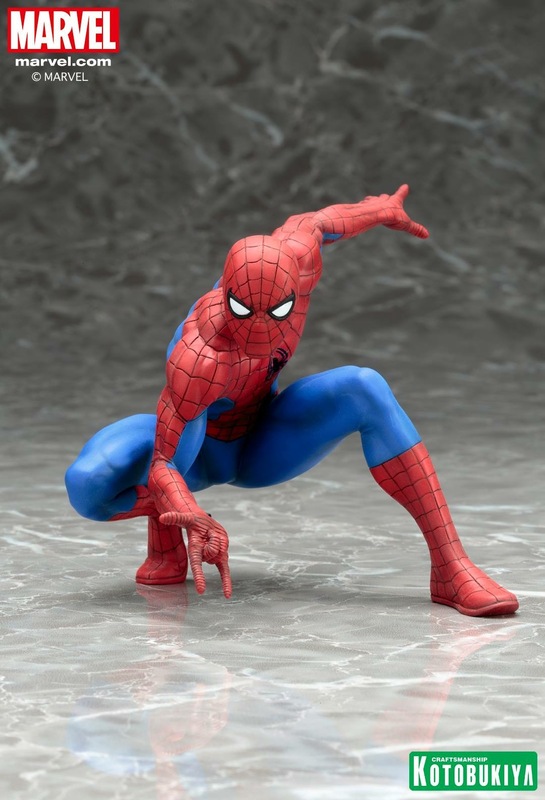 Now they’re kicking off an all-new series of high quality 1/10th scale ARTFX+ figures based on characters in the world of everyone’s favorite web-slinger, so of course they’re starting with The Amazing Spider-Man himself! In 1962 Stan Lee created the character of Spider-Man, the teen-aged Peter Parker granted extraordinary powers by the bite of a radioactive spider. With great power comes great responsibility, and Spider-Man would use that power to save lives and protect the innocent. The innovative superhero has gone on to become one of the most popular and famous characters of all time, appearing in hundreds of comic books, television shows, and a huge comic book blockbuster film franchise. 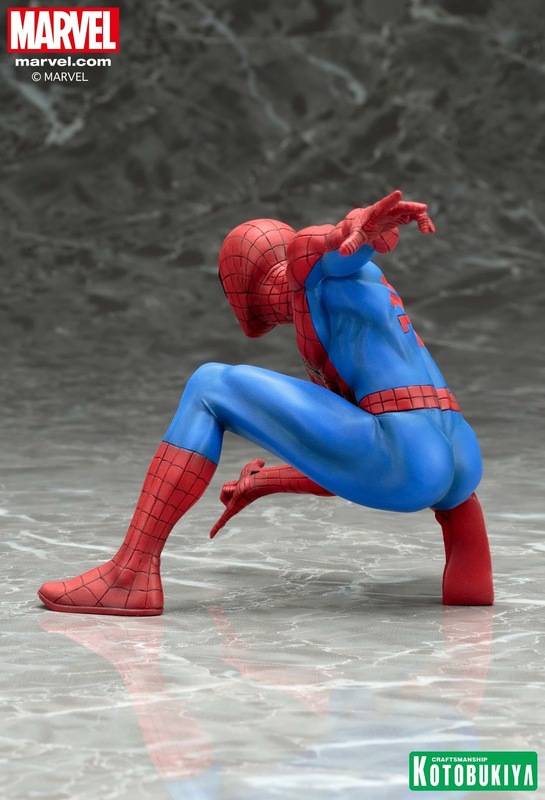 The Amazing Spider-Man is always in the middle of the action, and this fantastic ARTFX+ presentation captures him in one of his most iconic poses. The heroic Peter Parker crouches low to the ground, ready to spring up at a moment’s notice. 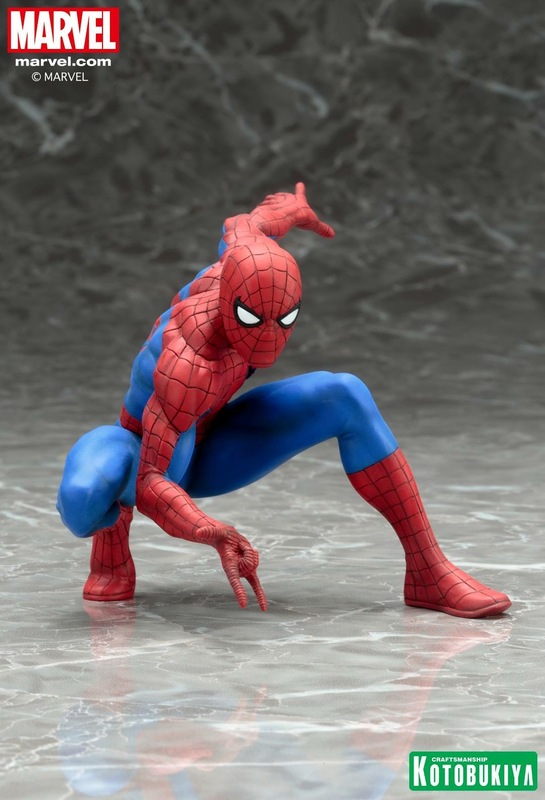 His left hand is stretched behind him for balance while his right hand is thrust forward in the classic web-shooting pose. 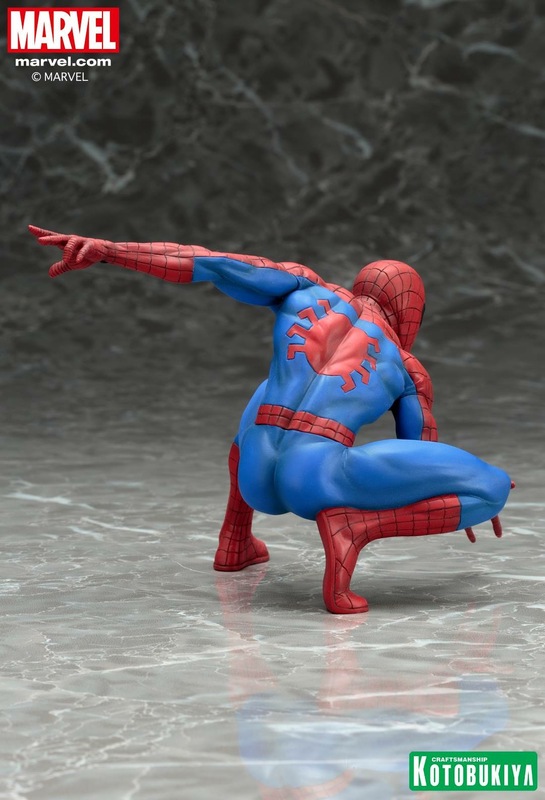 Spider-Man wears his traditional red and blue costume, recreated here with painstaking sculpted detail in the fabric’s texture, black webbing design, spider emblem on his chest, and the superhero’s lean muscled physique. Sculpted by the same master artist who did the Marvel Now! 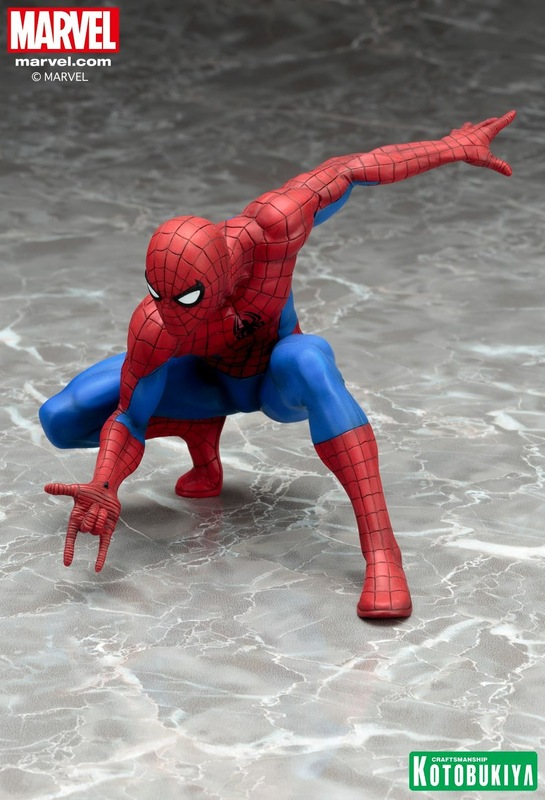 Avengers and X-Men series, Junnosuke Abe, the Amazing Spider-Man is just under 3 ½ inches tall (in the ARTFX+ 1/10th scale) while crouched, and he too has magnets in his feet to provide perfect stability on his included display base. 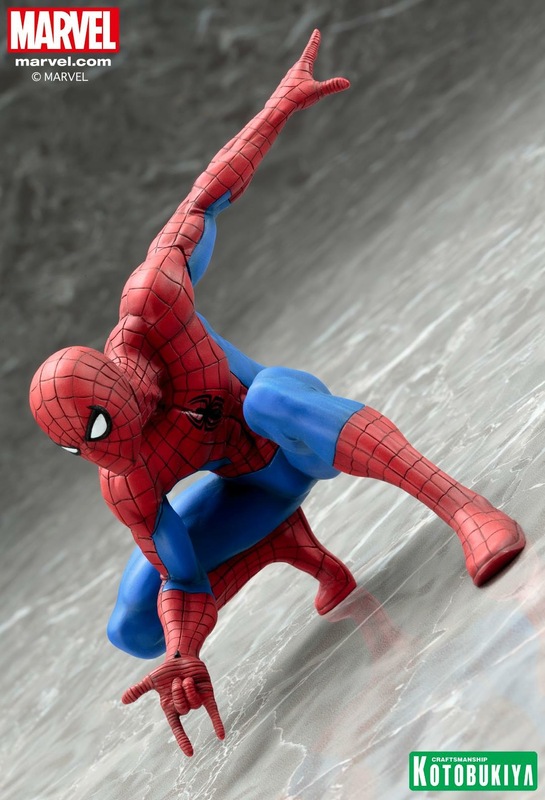 Catch Spider-Man before he swings away, and watch out for more Spidey-related ARTFX+ Statues coming from Kotobukiya soon! Pre-order HERE for $59.99, available November 2016.